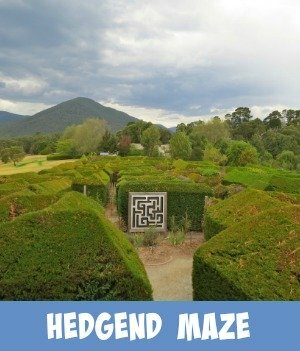 You will find this unique hedge maze, high up on top of Mount Dandenong. 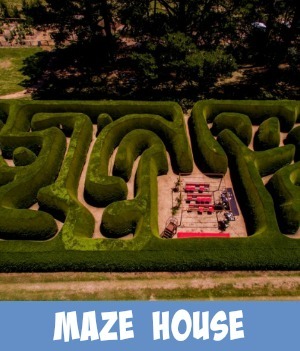 This maze is sure to prove a fun one to solve and it is suitable for all ages to enjoy. 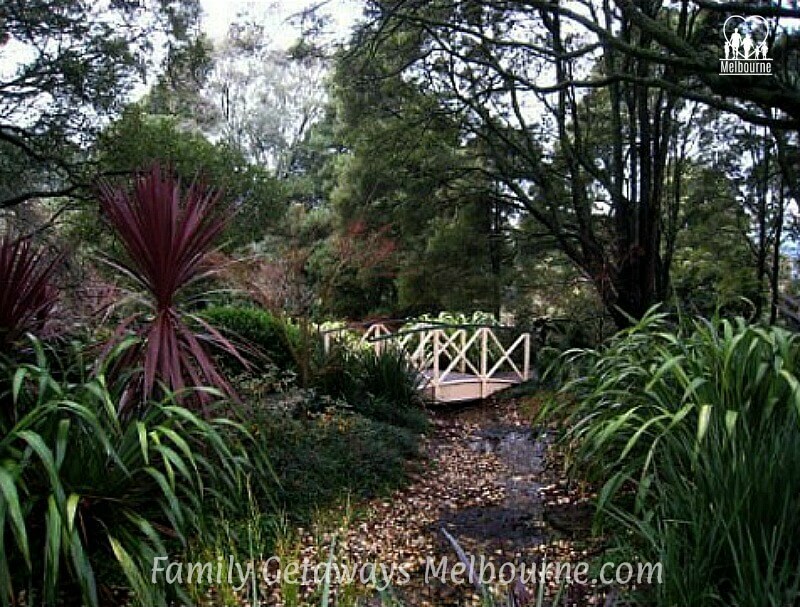 A great day trip from Melbourne for you and your family and is only just over an hours short drive from the city. The maze is just one of the many fun things that you can do up there. You can enter the maze from the quaint little Coffee Shop and once you have mastered the twists and turns, stop to enjoy a refreshing cool drink or a delicious deavonshire tea. 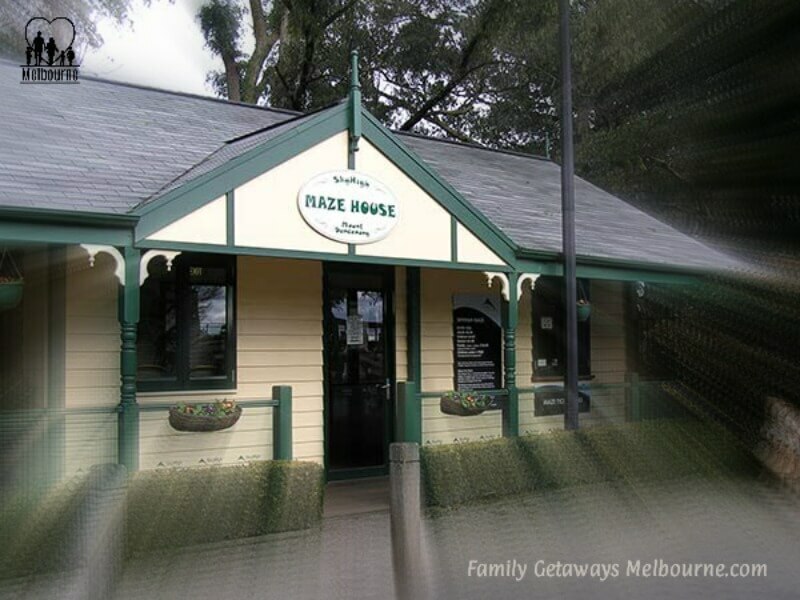 As you start your maze adventure you are handed your personal 'Maze Master' card. Now set off through the many twists and turns and try not to get lost. There are Stations along the way where you stamp your card. The idea is to complete the card and become another great Maze Master. You will find beautiful statues scattered throughout the maze gardens. And for a special treat there are butterflies, fairies and illusions that can be found around every corner. During the winter months, the maze may close by 3:00pm if it is raining. Where Is The Hedge Maze? 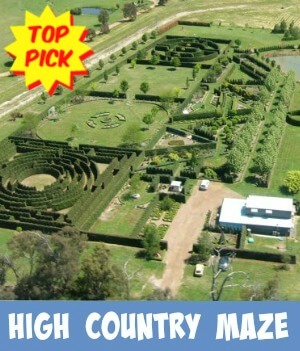 There are several different ways that you can reach the top of Mt Dandenong where you will find the Skyhigh Maze. drive under the railway bridge. Turn left and travel up the mountain towards Sassafras and just follow the road signs. turn left and continue to the next round-a-bout at Montrose. Turn right and continue up the mountain, past The Handorf Chocolate Coffee Shop. Follow the road signs all the way to the top of the mountain. 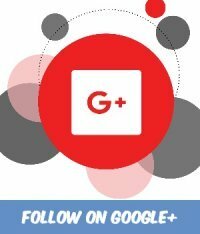 If you would like a more detailed road-planner then visit my Google Map above, load your details in and follow the directions. Once you have set your journey up, print out the route planner... too easy. The Maze is planted out using Lilly Pilly. The perfume during the flowering months is exquisite. 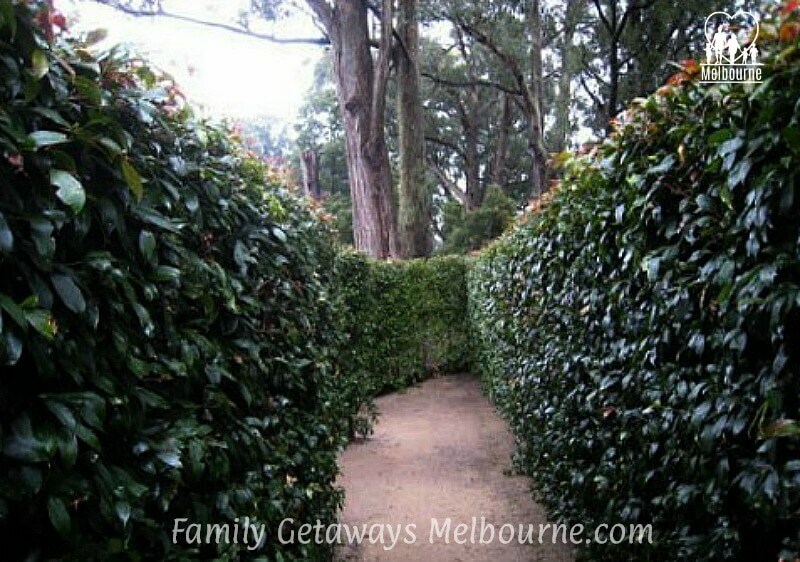 The quaint maze is part of the 'English Garden' that has been planted out up here on top of Melbourne, where the climate is perfect for rigorous growth. There are meandering gravel paths and several wooden arch bridges that cross over little man-made bubbling streams. 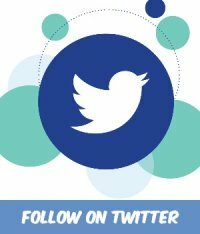 There are excellent car parking facilities, disabled access, barbecues and picnic areas. 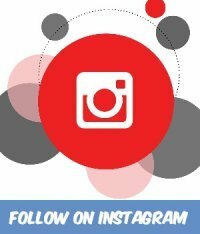 which makes this truly a favorite family destination. At the end of your little maze adventure, present your Maze Card and you will be handed a Maze Master badge. A souvenir of your fun time up on the mountain and a proud memento of your amazing talent. Why not pack a picnic and make a full day of it. 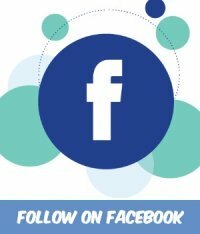 How about celebrating that special occasion, what about a Kid's birthday party? 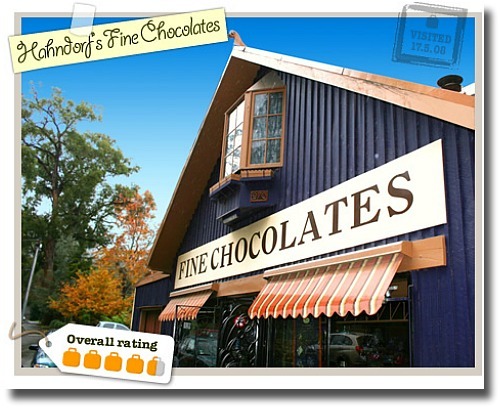 Now on your way back down the mountain why not treat yourself to some exquisite chocolates at Hahndorf's Fine Chocolates. 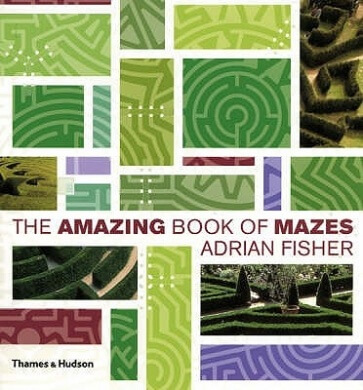 Do you find mazes amazing? 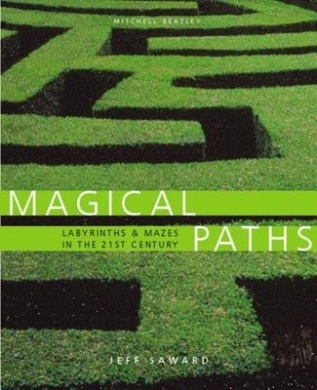 Here is a selection of books on Mazes that I am sure you will find totally amazing.